Veeam’s Management Suite is a set of industry-leading solutions for VMware backup and management, designed to provide significant cost savings, increase administrator productivity, and mitigate daily management risks for VMware deployments of all sizes. This cost-effective solution helps to automate routine processes of VMware management and gain complete control over your virtual infrastructure. Just as with a physical server environment, data backup & recovery is equally as critical for a fully virtualized server environment, and our clients rely on our recommendations in this arena. Throughout our extensive research and testing, Veeam has been the only product that can enable our clients to reliably achieve their RTOs (Recovery Time Objectives – the maximum amount of time to recover from an outage) and RPOs (Recovery Point Objectives – the point-in-time from which you wish to revert prior to the outage’s occurrence) while also gaining granular reporting, detailed monitoring, and easy management. Finally, we use Veeam in-house, which furthers our experience from an end-user’s perspective. 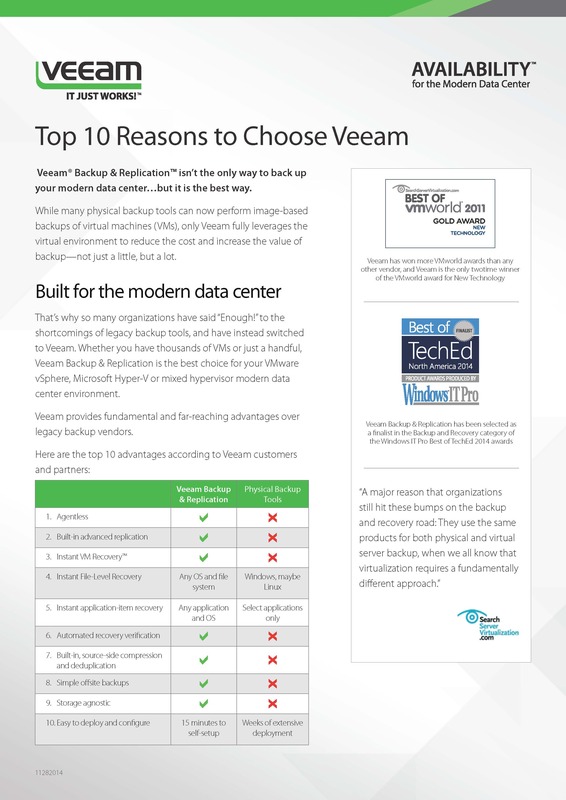 Veeam does more than just data backup & replication. By partnering with Multipath Data for your Veeam-based virtual backup strategy, you gain experienced consultation & design based on hands-on experience in a plethora of different environments. This helps you design the most effective strategy based on your budget and resources available, while reducing any potential learning curves involved. Veeam’s agentless licensing model, you’ll never worry about “nickel-and-dime” add-on fees based on your server count or features needed. Moreover, built-in deduplication & compression capabilities reduce the storage capacities and network bandwidth required to support your server backups.